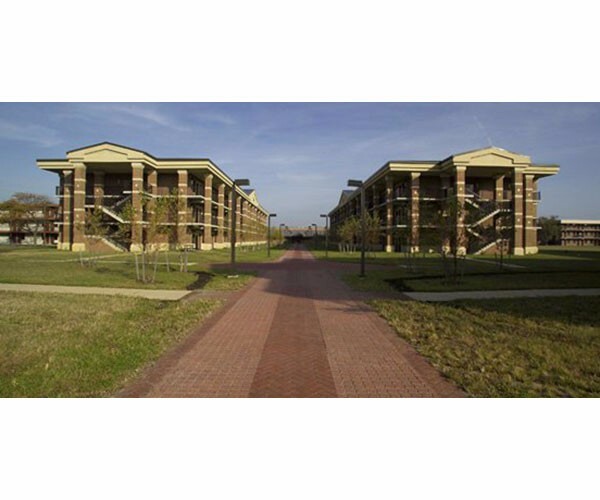 DJG designed two Dormitories at Langley AFB, VA. The Dormitories were re-designed to be straight-line buildings, as opposed to the existing L-shaped dormitories. Pile supported foundation, pile caps, grade beams, light gauge steel trusses, pre-cast floors, stairs and metal roof were redesigned to accommodate the rotation of one wing. 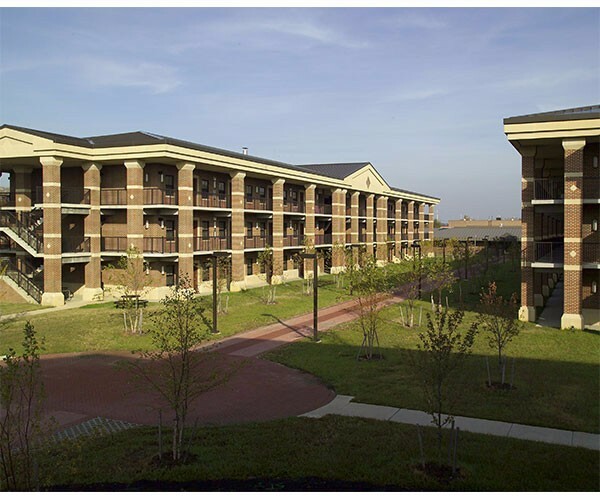 Of note, the dormitories are designed in accordance with the government’s Progressive Collapse Design Guidance to have non-collapsible external building perimeter members. Construction consisted of site demolition, extensive utility relocation and new piping. The central core of each facility houses the necessary utility and multi-purpose spaces including laundry, vending areas, storage, mechanical, electrical, and communication closets; as well as a multi-purpose room for use as a lounge or meeting space. Dormitory interiors include drywall partitions, ceramic tile bathrooms, carpet and kitchenettes. Extensive heating, ventilating and air conditioning systems include chillers, fan coil units, pumps and other related equipment. 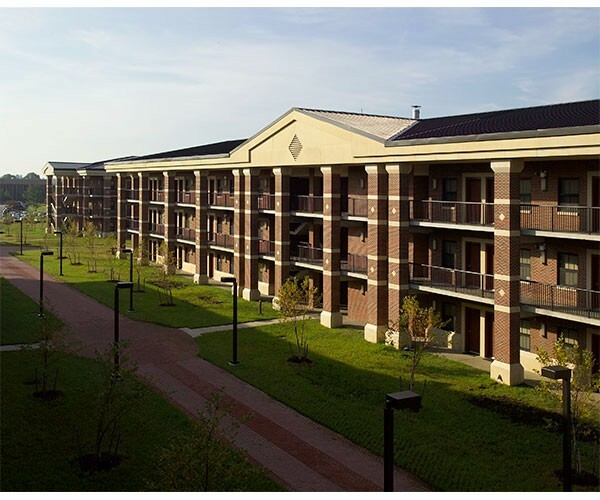 This project earned a 2006 Engineering Excellence Grand Award from the American Council of Engineering Companies Virginia for structural design.